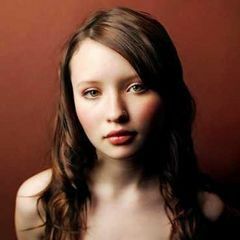 Emily Browning (http://content6.flixster.com/photo/10/50/42/10504296_tml.jpg) for Tally, AnnaSophia Robb (http://images.easyart.com/i/prints/rw/lg/2/4/Celebrity-Image-AnnaSophia-Robb-244086.jpg) for Shay, Chad MIchael Murray (http://modaellos.com/wp-content/chad-michael-murray.jpeg) for Zane, and Lee Norris (http://www.kcwi23.com/shows/onetreehill/leenorris.jpg) for David is what I think seems to fit. What do you think? Re: Who should play the characters in the movie? Yeah. You wouldn't believe how hard it is to find people who work. Get out of here Evin and GO TO BED!!! You're soo annoying. Stop ruining every single thread! LOL. But i don't mind. And he/she is only ruining my posts. He's been on before. He annoys me. I know him in real life. I think he stalked me here. ooohh. is he ur brother? your creepy stalker brother?